Kids rooms design is quite claim to be the most multifaceted direction. And in this article on our blog, we want to tell you about a new project, a children's room for teen girls aged 14 years. 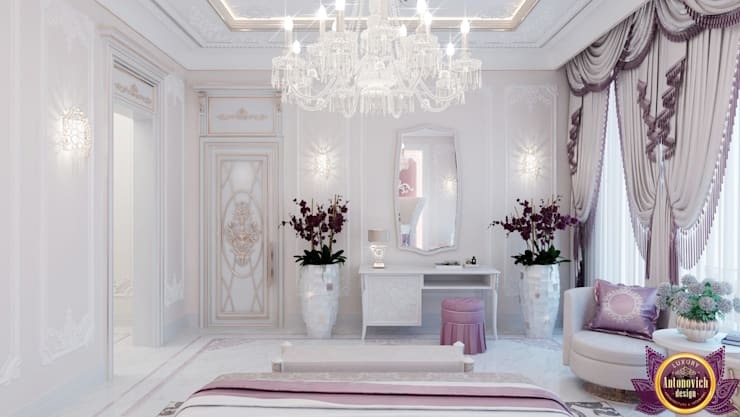 grace and gentle nature of the owner of the room reflected the wonderful interior designer Katrina Antonovich using the classical style. Light range of shades, which prevails in the interior, visually expands the space. 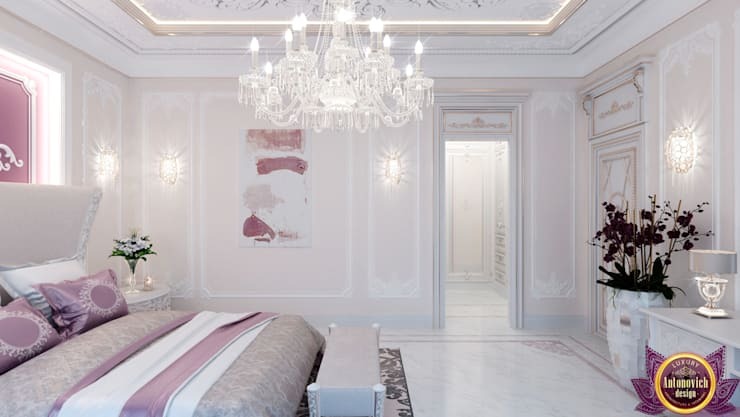 In the best traditions of the classics in the decoration of the ceiling there is an exquisite stucco decoration, which outlines the perimeter. Line soft lighting greatly enhances the expressive element of the decor. Bed decorated with high upholstered headboard. Charming bed covered in decoration complements the interior a cozy mood, as well as a natural carpet on the floor. 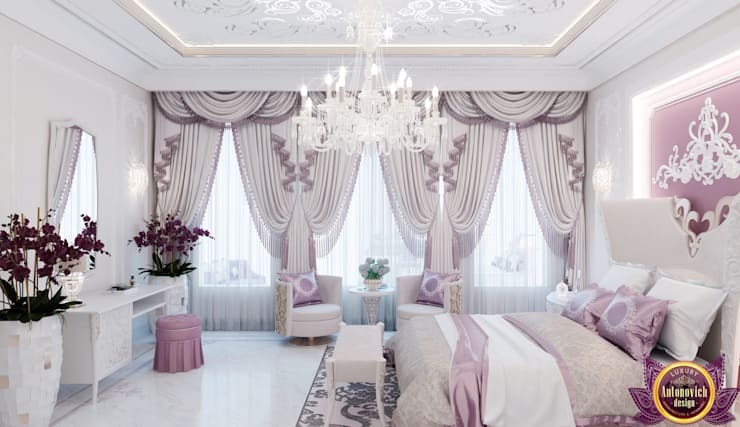 Perfect and beautiful image of a classic style creates a certain mood in the room. 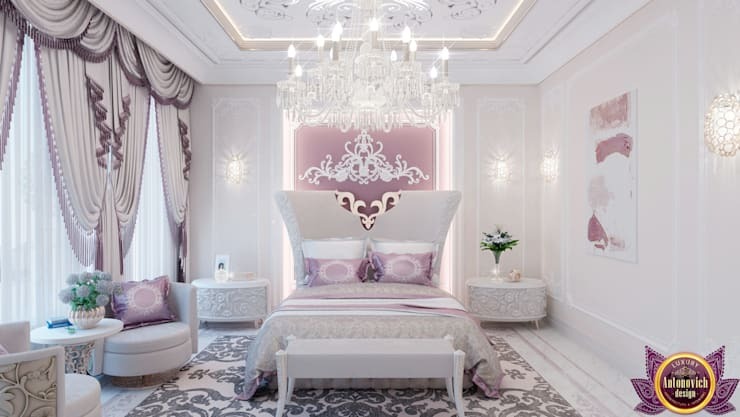 Each of the interior design is the creation of an ideal and comfortable environment for the child, as well as education of good taste and understanding of beauty.